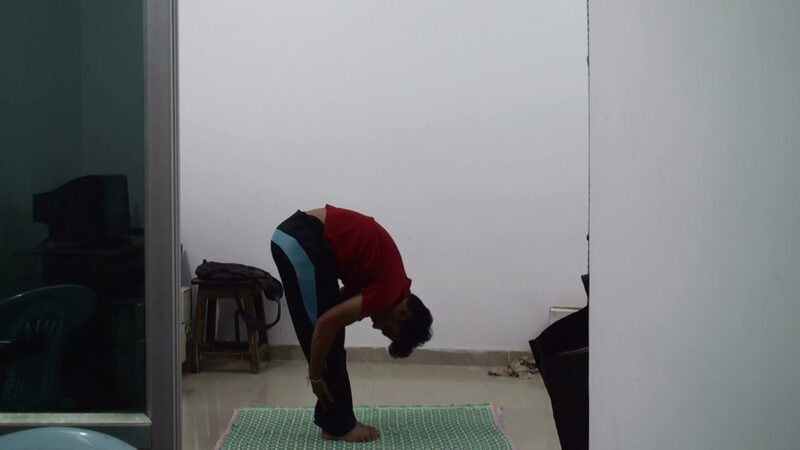 Uttanasana is a yogasana which is also known as forward bending in standing position. Technically it is an intense stretch pose. Uttana (उत्तान; uttāna) = “intense stretch” or “straight” or “stretched”, and Asana (आसन; āsana) meaning “posture” or “seat”. Try to stand in standard still position by putting your legs together with out bending knees and remember that spine should be erect. Now you got to remember three important things they are breath out, breath in, breath out. Now start breath out deeply, then breath in deeply with your hands stretching in opposite to each other, then now breath out slowly, parallely bend the body with the head or chin or cheek touching the knees with the hands touching your feet or the ground. 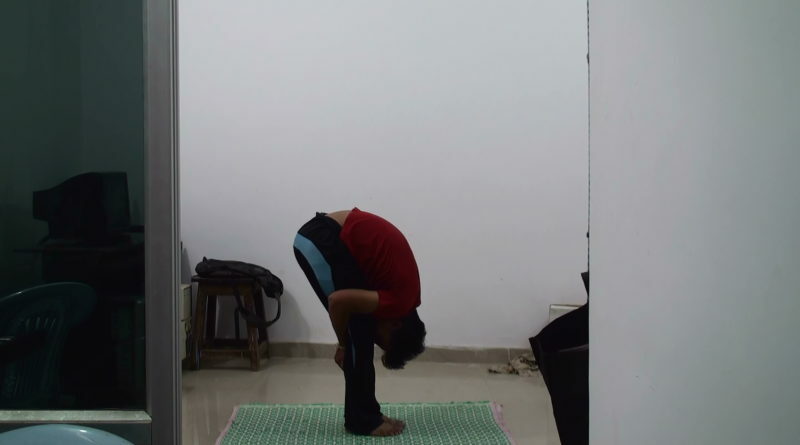 So try to hold this position for minimum 30 seconds by closing your eyes. Now slowly take back to your original position slowly by breathing in and out and open your eyes. You are going to feel lot of stress since it is a intense exercise. Relax for 2 minutes, try to do it again, repeat this asana for 2 to 3 times, then you can become perfect after some days. 1) It stretches hips, hamstrings and calves. 3) Reduces stress, anxiety, depression, fatigue. 6) Abdominal organs will be stretched and activated. Caution: Old people, weak persons, heart patients, bp patients shouldn’t do these asanas.